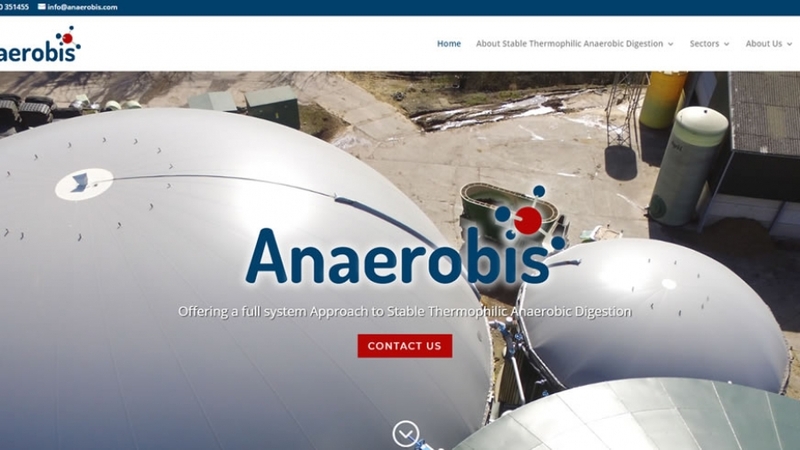 Anaeronbis Stable Thermophilic Anaerobic Digestion website. A company specialising in the extraction of energy from waste, whether that be farm or food waste. This client needed a website and new logo designed, both needed to communicate the scientific core of the company. Coco’s restaurant on Milford Haven Marina needed a website to compliment it’s busy Facebook feed. Whereas a Facebook feed is just that, a feed, which goes by, a website is a constant signpost and as a result needs to include high quality images and a sense of style and solidity which is not always apparent on social media. So we were also commissioned for the photography and content on the website. The aim was to best reflect the quality of the food and decor, so we did a photo shoot during service and then a more relaxed shoot at coffee time on a Sunday morning. The resultant images were developed in Lightroom and really lift the website. Buzinet have been involved in the design and marketing of the Tour of Pembrokeshire since 2011. The styling and the website for the Tour have been through a subtle evolution during the intervening years, every changing and always with an eye on the core values of the event, quality and community. In 2017 the event continues to move forward with the help of Buzinet both as a web designer, marketer and content creator. In addition to this Buzinet produced and distributed press releases to the cycling, local and national press along with targeted email campaigns to engage existing and potential riders. Buzinet has also produced print media for the event including large format banners and signage, rider route cards, posters, printed souvenir designs and the very successful souvenir t-shirts illustrating the 2014 event widely regarded as one of the toughest days out on a bike because of the route and weather involved. The Tour of Pembrokeshire is the perfect example of what can be achieved alongside an immersive full service agency like Buzinet. EBS Automation work with Buzinet on their web presence, search engine optimisation, pay per click and data analysis to improve their website visibility in the competitive world of bespoke engineering for manufacture industries. Buzinet utilises Google Ad words for pay per click and Google Analytics for data analysis alongside tools and processes developed in-house to get the best results for this customer. When it was time for EBS to change its name to EBS Automation Buzinet was brought in to redevelop the company brand to reflect the precise nature of the engineering that EBS Automation carries out. In addition to this online content Buzinet also design various print materials for EBS Automation including gatefold company business cards. At Buzinet we create strong brands, a logo design is the cornerstone of a strong brand identity, here are a few we have created. We’re also happy to re-draw an existing logo for you, just in case you don’t have that all important vector based copy of your company logo to work with.